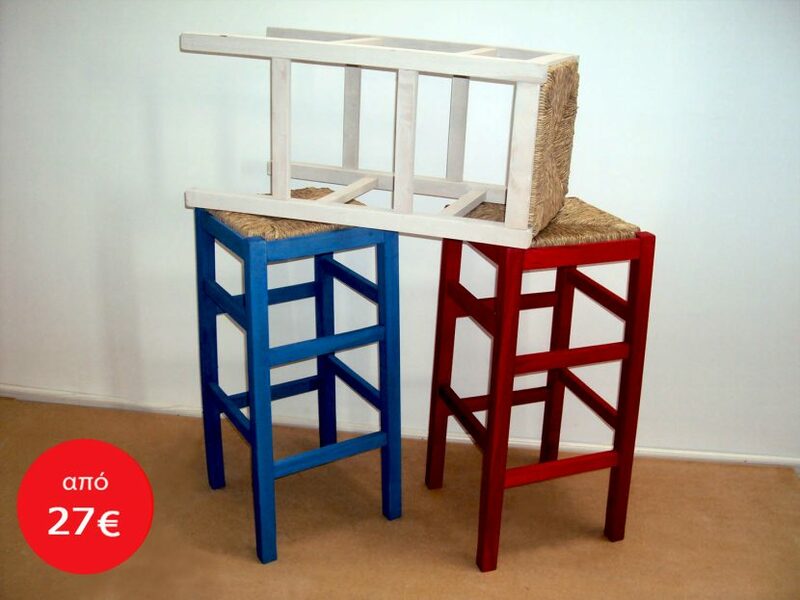 SPECIAL OFFER: Professional Wooden Stool without back for Bar Restaurant Cafe Tavern Cafeteria from 27 € (size 36Χ36Χ80), Paint Impregnation with Physical Rattan seat and beech dryer wood. The Professional Stool is available in wicker, in Glaze and Lacquer in several colors, of leather in many colors. The Traditional Wooden Stool without back made of Greek beech dryer. It is of our construction using large tenons, waterproof German RAKOLL adhesive with high strength suitable for Food Company equipment, such as restaurants, cafes, bar-restaurants, cafe-bars, ouzo taverns, tsipouradiko taverns & other such premises. The Professional Wooden Stool without back is available in Soack paints of Aging Impregnation Glaze (lustre) & lacquers in various colors, paints are made by electrostatic painting using Italian Varnishes. The Professional Wooden Stool without back is available in wicker seat with Wooden seat and in many colors of leatherette.